Famous adventurer Indi is out for a treasure hunt in this fun physics puzzle! Explore the island, shoot ragdoll clones from your powerful cannon and collect the golden coins. The jungle is full of dangers - watch out for huge spiders, carnivorous plants and deadly traps. Can you beat all levels and reach a high score? 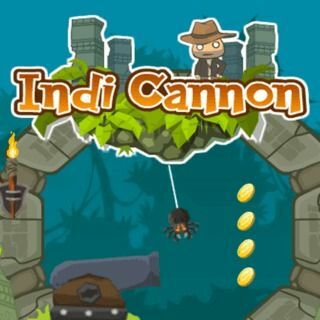 Indi Cannon - Find Indi Cannon in our vast HTML5 games catalogue. Only the best and newest HTML5 games for all audiences. Guaranteed success with Famobi.